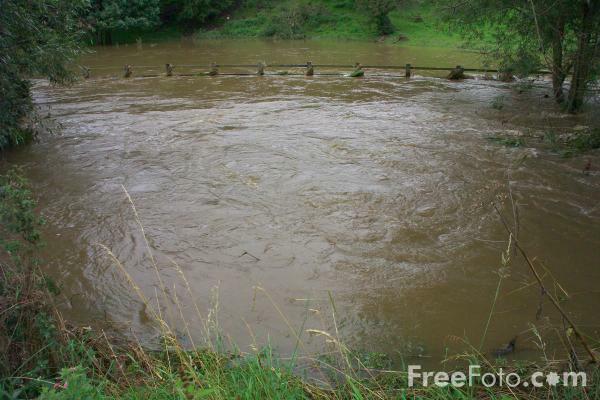 Picture of River Gaunless at South Church, Bishop Auckland, County Durham, during the floods of 20th August 2004. The Environment Agency have spent £7.8m to protect 400 homes and businesses in South Church and West Auckland. The flood defence walls and embankments have been built to blend in with existing surroundings. These pictures show the defences working to protect South Church. VIEW: More images from the category Floods, River Gaunless, South Church or around the same time .